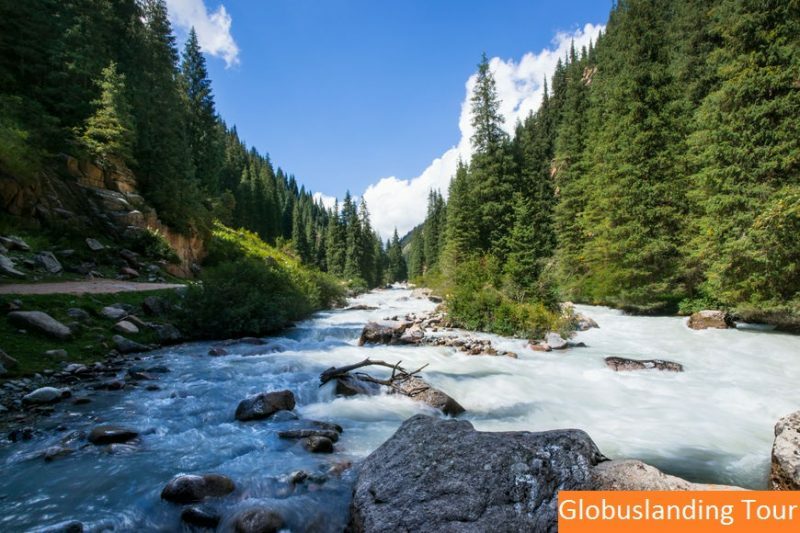 Kyrgyzstan individual and group tours in April and May will make you discover the very best of Kyrgyzstan with Globuslanding Tour. 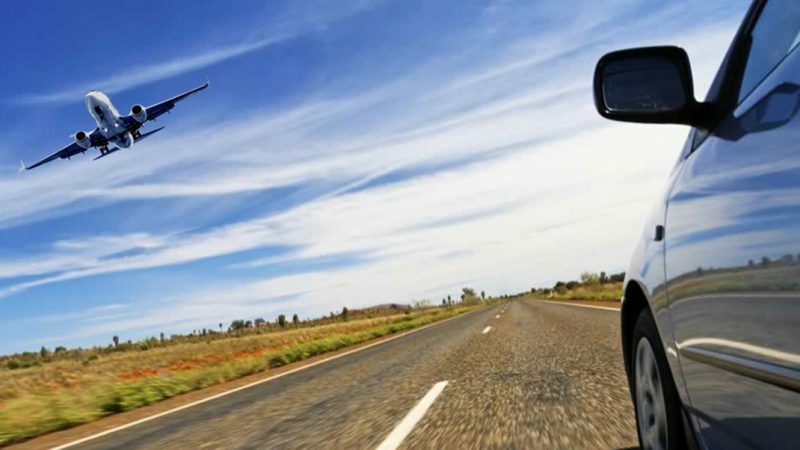 Globuslanding tour will introduce you to absorbing natural landmarks . 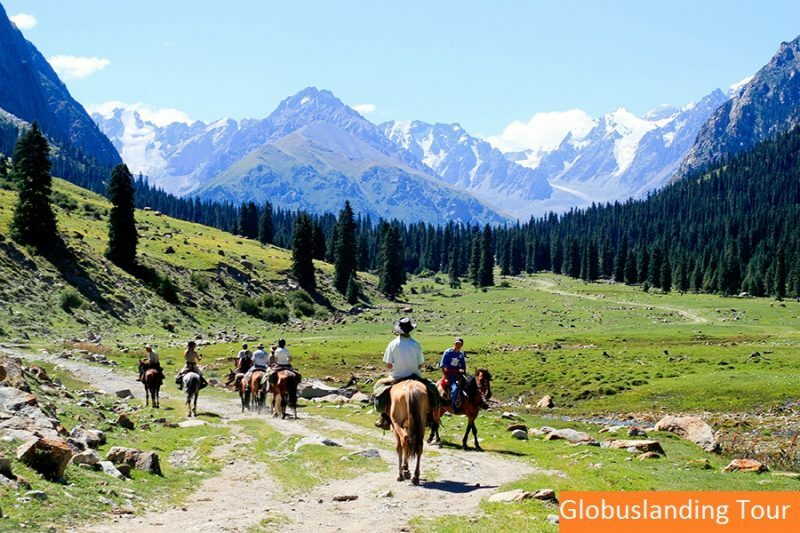 We offer the most popular tour itinerary in Kyrgyzstan with the guaranteed free date departure in 2017. May Flower Tour gives you opporunaty to witness the grass and flowers begin to blossom at the beginning of the season, which is very amazing. The season is from the mid of April and till the end of May. After meeting at the airport and transfer to Bishkek hotel and having some rest we are going to Ala Archa Gorge National Park. You will be in the alpine gorge through which the fast flowing Ala-Archa River runs. The gorge is flanked by tall, snow-covered, peaks with steep-sided, forested, mountain slopes. You will start your walk (3,5 km) from the alpine camp (2200 m) to Ak-Sai waterfall–the height is 35 m (2700 m) – by the path which goes through conifer forest and alpine meadows. Afterwards we will return back to Bishkek. Dinner will be at a national Kyrgyz restaurant. Then tranfer back to the hotel. The next morming after breakfast we will continue our trip and drive away from Bishkek to the city of Tokmok to visit one of the most popular places Burana Tower Minaret. Then we are moving on to the National Reserve of Chon Kemin (about 110km from Burana). You will have a chance to enjoy a horseriding program around the valley. Dinner and overnight at a local hotel which is owned by hospitable family. 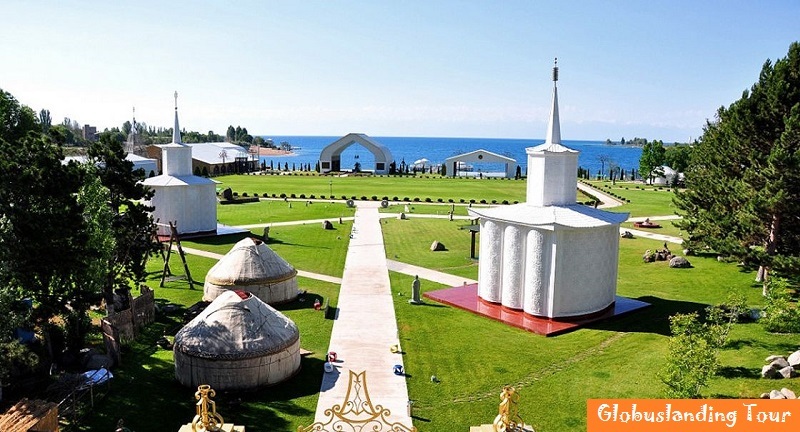 You may take great pictures of national yurt and put on costumes. After breakfast we continue our trip and our first site is Cholpon Ata (180 km from Chon Kemin via Boom Gorge). 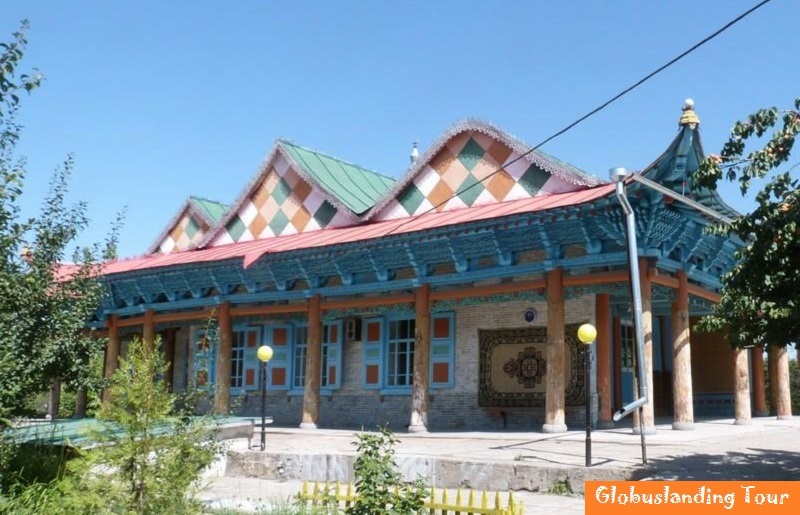 In Cholpon Ata city, which is located on the Nothern side of Issik Kul Lake we will visit the Museum of Petroglives and famous Ruch Ordo Museum, where you will take splendid photos. 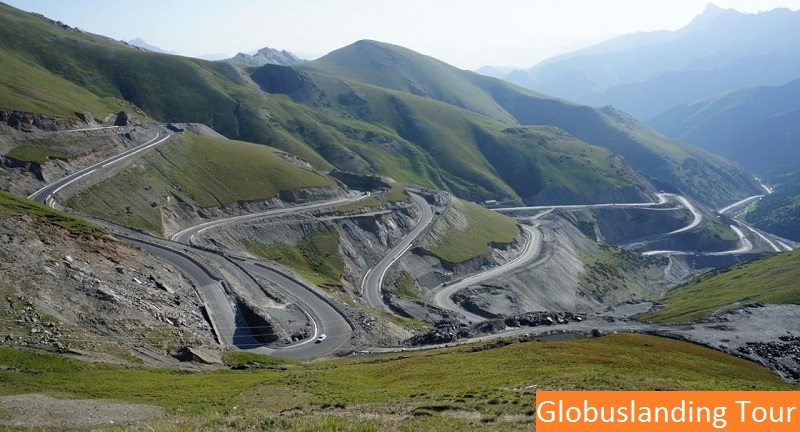 After museum excursions we move on to the East to Chon Aksuu Gorge for overview the mountain magnificient nature. Then we drive on to Karakol Town. Dinner in a national restaurant in Karakol. Overnight at the hotel. 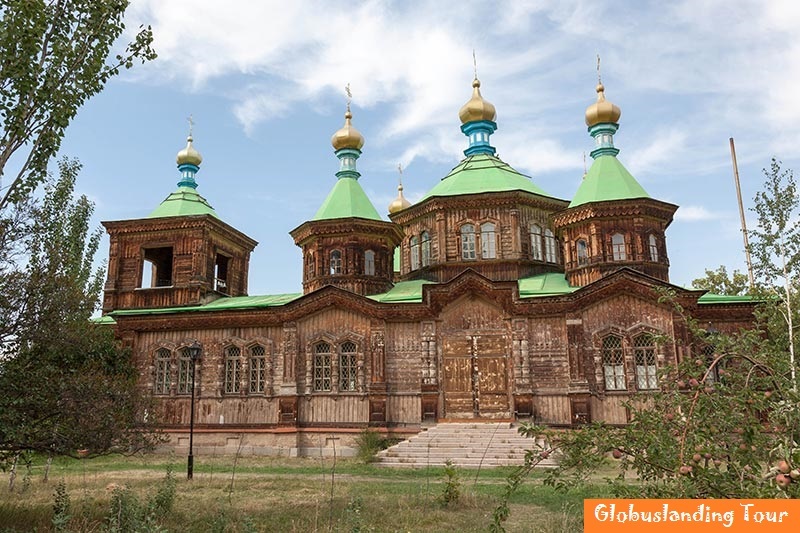 In the morning after breakfast we are going to Karakol sightseeings to visit Russian Orthodox Church, Old Dungan Mosque and museum of History. 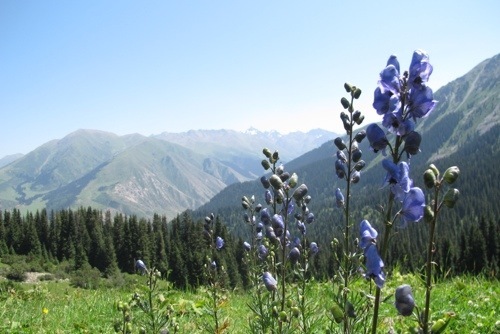 Then keep on moving to Jeti Oguz Canyon, which is about 40 km from Karakol. 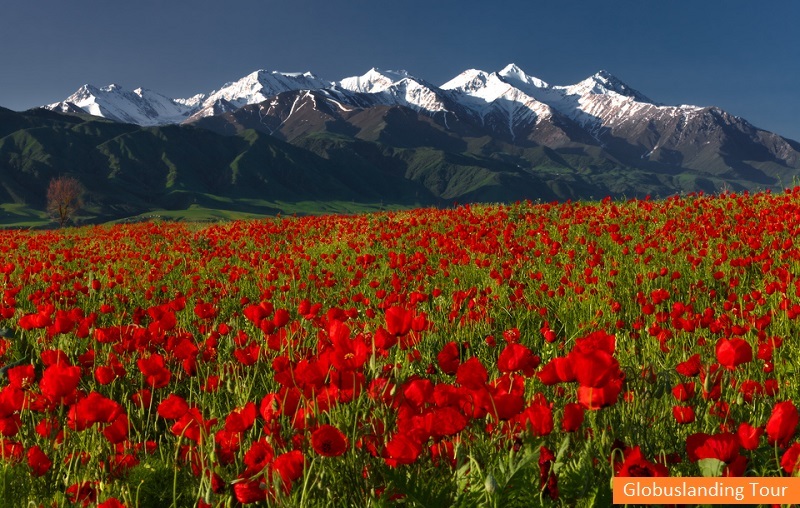 There we will visit one of most beautiful scinerary – the valley of flowers. The canyon was named due to its bizarre rocky landscape, which for many years has been transformed by wind into fabulous sculptures and formations. 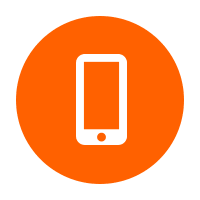 Some formations in “Skazka” have been named for their similarity to well-known objects. For example, one set of ridges in the canyon is named “The Chinese Wall” due to its similarity to the Great Wall of China. You can also find what appear to be statues of a hippopotamus, snake, dragon, sleeping giant and even whole castles. 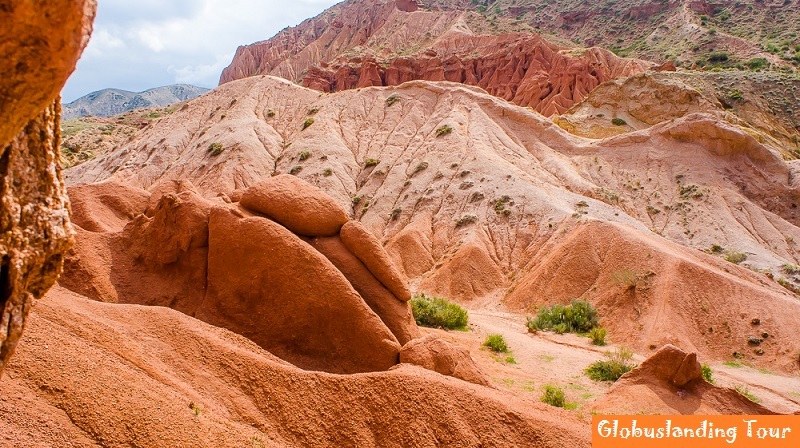 Because the different rocks have amazing colors, the rocky statues not only have unusual shapes, but also magical colors. And finish of that day is a village Kochkor. 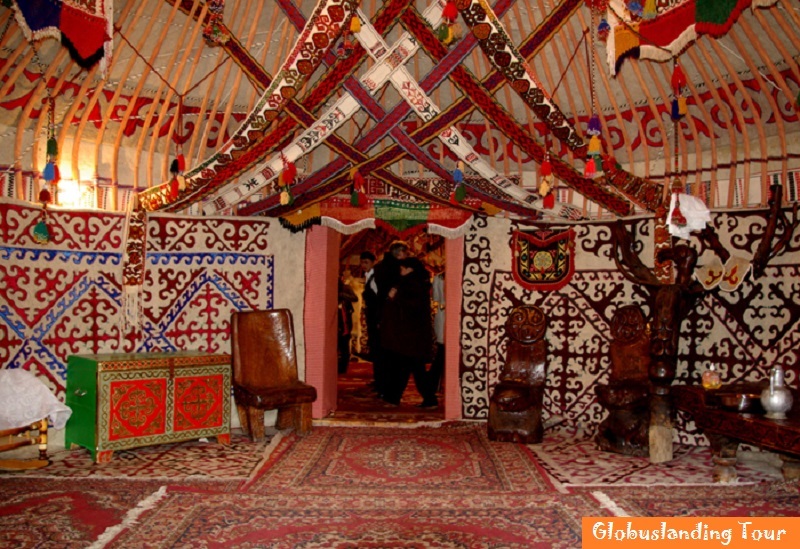 We will visit a national woman based community of National Carpeting according to ancient Kyrgyz traditions. Watching this show and even taking part in it will give you a great pleasure. Lunch will be held there in a yurt. Also there is a Souvenir shop, where you can make some shopings as tokens of memory. Dinner and overnight at the Hotel in Kochkor village. Today it will a long way of travel. 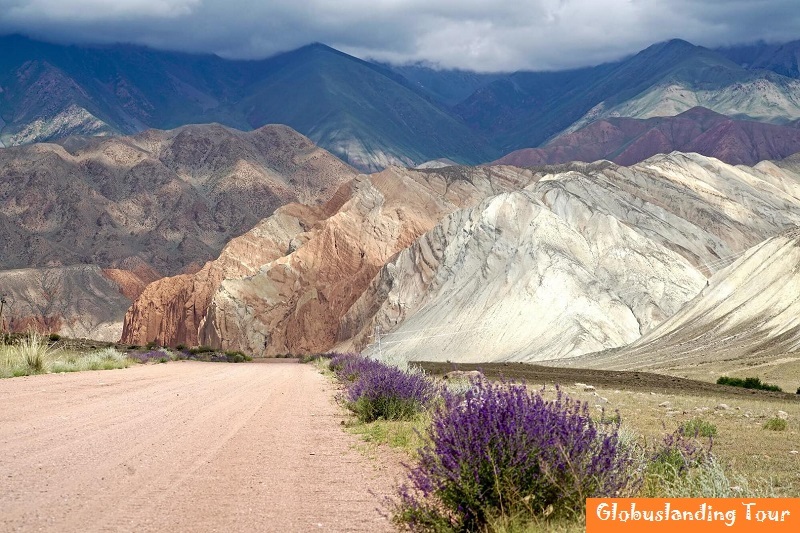 We will drive through the various landscapes with different views of nature, For a lunch we will stop at village of Kyzyl Oi, the wild valley of flowers Suusamir will not leave you undifferent and off course Too Ashu Pass (3400m high) with wonderfull panoramic view, which is realy unforgetable. Fairwell dinner and overnight in Bishkek.